Hello friends! 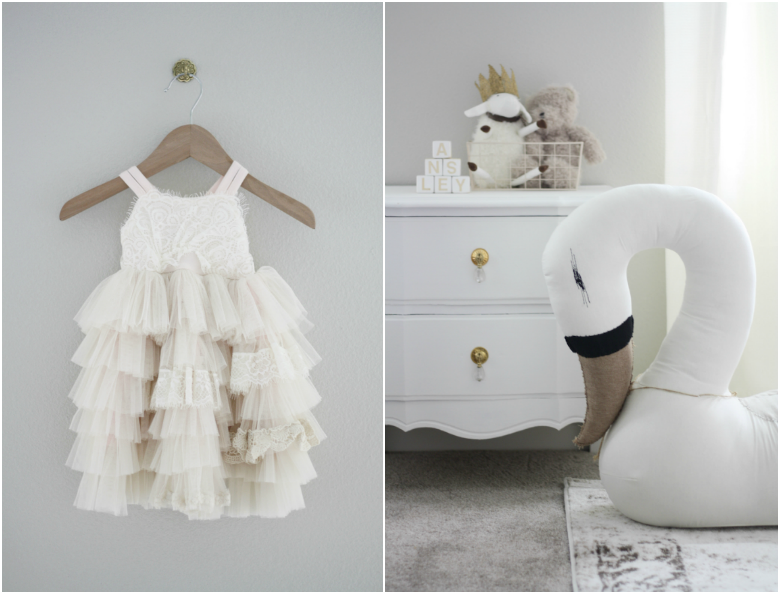 So I have a scrumptious dose of nursery eye candy for you to swoon over today! My friend, fellow mommy blogger and insanely talented interior and event designer Rachel from Rachel Elizabeth Creates, has done it again! You may remember her from her past nursery features here on Fawn Over Baby here & here. Well she has now transformed a blank canvas space in her new home into a simple yet elegant and whimsical oasis for her baby girl Ansley. 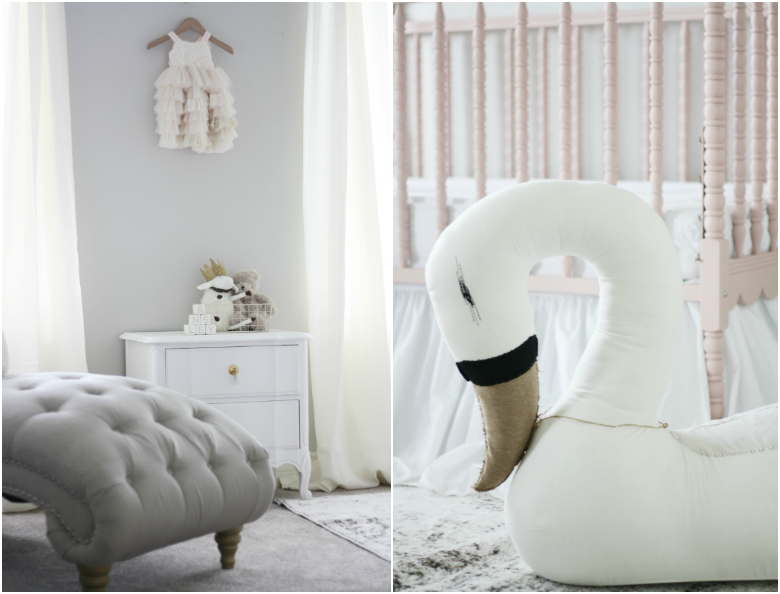 With the creamy white and blush tones setting the stage, beautiful floral ensambles and romantic swan details create a soothing and sophisticated space that grants an element of child-friendly fun that is timeless and can evolve with Ansley as she grows. 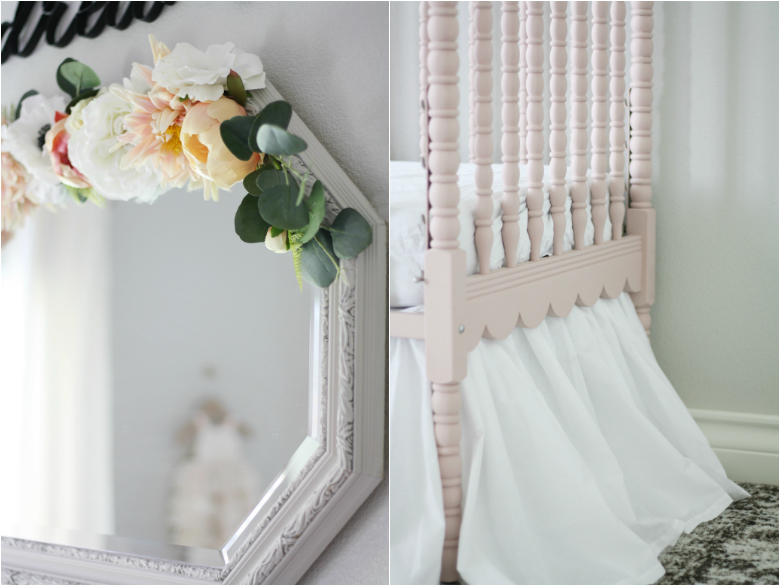 So as to not keep you waiting any longer, let's take a peek inside Ansley's incredible swan soiree retreat that is perfectly fitting for a precious little princess. 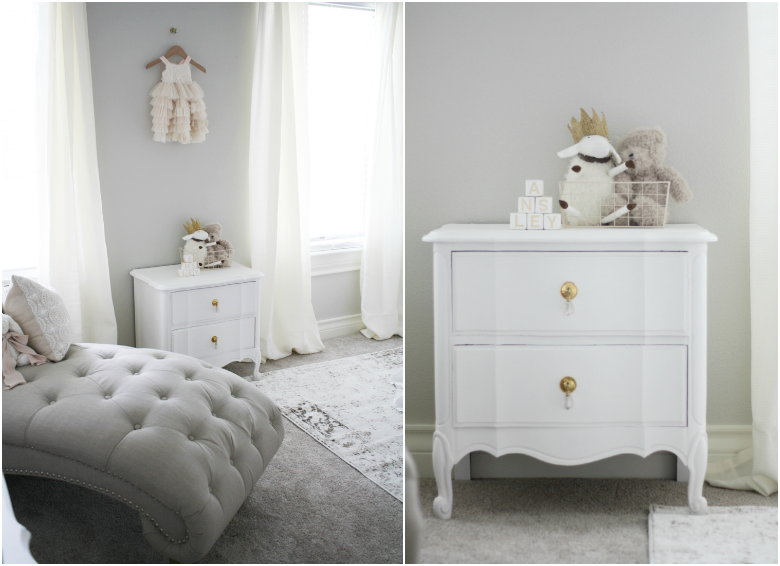 For more information on this beautiful baby girl nursery, visit Rachel's post here! This is SO gorgeous! I love the swan!! I know, right Kelly? I just can't get enough of his nursery and Rachel's overall talent for that matter!